← Check Out The “Important Information” Tab! President Noah Butler called the meeting to order. All rose for the Pledge of Allegiance. Secretary Whitney McBride read the previous meeting minutes. Noah Butler made a motion to accept the reading of the minutes. All were in favor. Reporter Jessica Soto read the calendar of upcoming events. The Chair motioned to discuss the 5k at the end of the meeting.All were in favor. 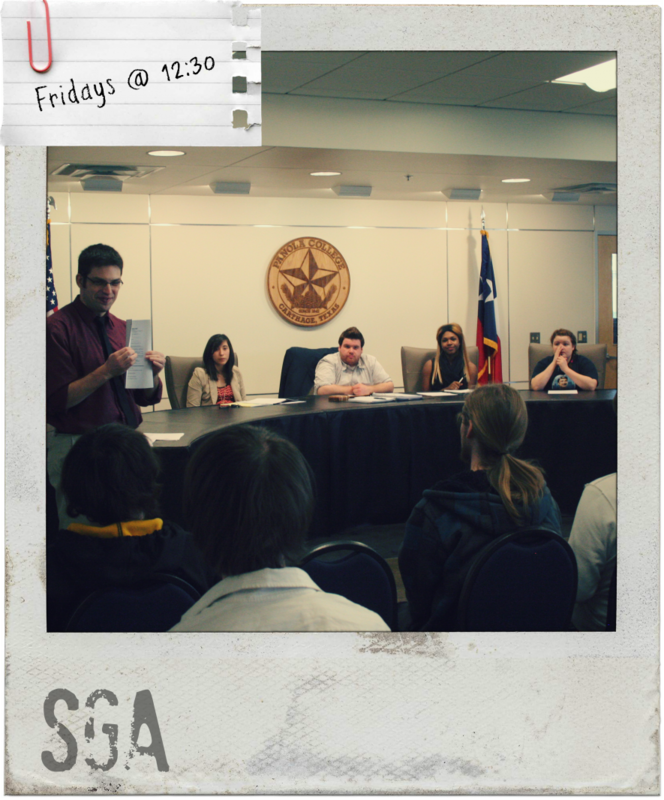 The Chair opened a discussion about an SGA fun night.The SGA night would be for SGA participants only. After a discussing an agreeable date for everyone, it was decided that Monday, April 8th, SGA members will meet at Mr.Naples house at 6 pm for dinner. The Chair made a motion to accept the plans. All were in favor. The Chair opened a discussion about the Blue Man Group. The Blue Man Group will be performing in Tyler at UT on May 3rd and 4th. The SGA budget allows the possibility of taking a number of students to see the show, free of charge. The Chair closed the discussion. The Chair motioned to buy tickets for the Blue Man Group.All were in favor. The Chair will be discussing a few suggested changes to the SGA Constitution in the next meeting. The Video Committee has not yet completed the video contest details. More information to come.